Looking for a mad dash bunny tower? What a little gem – the Mad Dash Bunny Tower playhouse provides a small playhouse on stilts that is perfect for the smaller child or smaller garden. What fun for your child to climb up the ladder to their very own raised balcony and treehouse-like playhouse. This divine cosy, children’s playhouse is built on short stilts with a ladder. 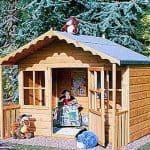 Constructed from durable and hard wearing wood this playhouse will give years of fun and laughter for the children and always look good in any garden space. We don’t recommend this for children under the age of 3. Due to the raised nature of the playhouse and use of the ladder we would have concerns regarding safety for children below the age of three. The Bunny Tower playhouse is like a treehouse without the need for a giant tree in your garden. 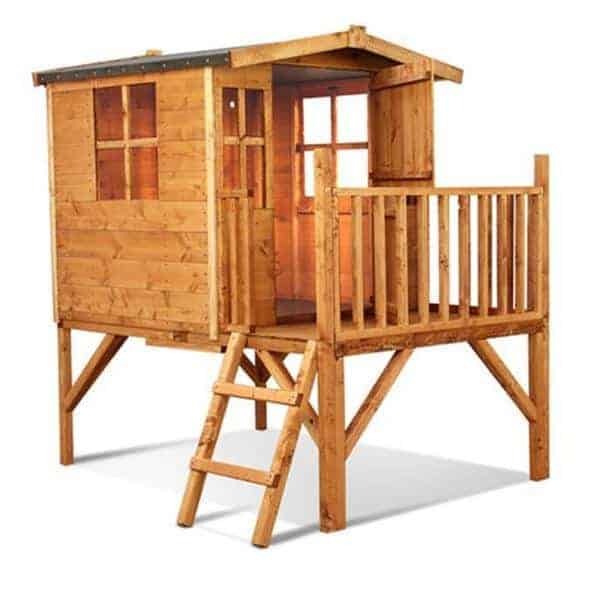 With a 6x5ft interior, this fantastic model will be adored by the little person in your life. The balcony provides a superb lookout point from which to see into the garden and spend some time in the sun. Both girls and boys will enjoy many hours of fun in the Mad Dash Bunny Tower playhouse, whether it’s used as a secret club den or a girl’s meeting place with their friends. The Mad Dash Bunny Tower Wooden Playhouse: How safe is it? The Mad Dash Bunny Tower playhouse certainly looks the part and has the excitement of a raised playhouse but is it suitable for your family and their needs? Here at whatshed.co.uk the team take the time to look in further detail at this particular model’s many features and address any safety concerns that parents and carers may have. We hope this information will help you make an informed decision when it comes to purchasing your dream playhouse. 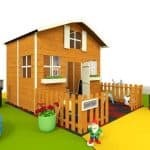 Playhouse: The playhouse itself has a traditionally styled exterior and a 6x5ft interior, enough space for your child and a couple of friends to enjoy many hours of fun. The timber is rounded and smoothed to enable a safe playtime. 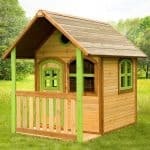 We recommend that this playhouse be purchased for younger children due to the smaller size but it is not suitable for children under the age of three due to the raised height. Balcony area: The balcony area provides a nice outdoor space for your child to look out into the garden and enjoy the fresh air. The balcony fencing is high enough that it is safe for children to explore without the worry of falling over. The balcony area is accessed by a fixed ladder which ensures that it does not move position during playtime. 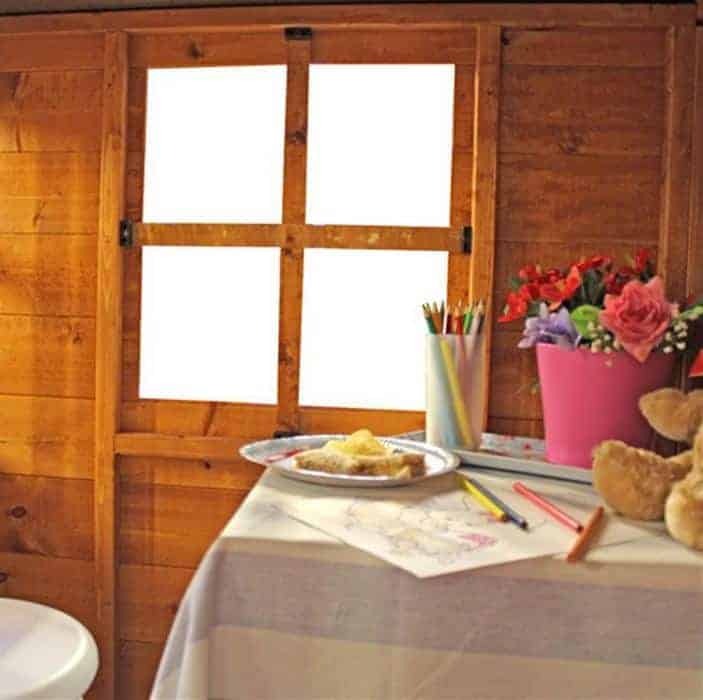 Windows: The windows provide a light and airy feel to the playhouse. They are fixed in place and do not have an open/close function so any accidents involving trapped fingers are avoided. Door: The charming stable door feature allows children to peep out of their house without opening the door fully. The only safety issue we could see here is that care must be taken when opening and closing the two separate parts of the door so to avoid trapping small fingers. 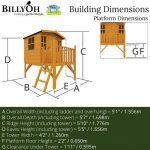 The Mad Dash Bunny Tower Wooden Playhouse: How easy to build? 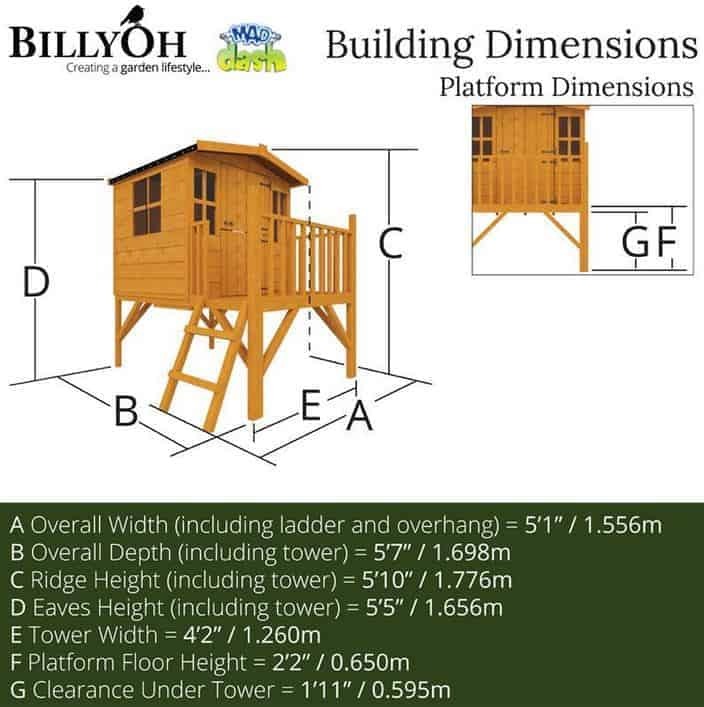 If you are a complete novice when it comes to any form of DIY, don’t worry as even the Bunny tower playhouse may look complicated to put together, it really isn’t, especially when you are armed with the clear and detailed instruction booklet with easy-to-follow diagrams. The playhouse will be delivered flat-packed and your package will contain all of the panels, roofing, joists, fencing, ladder and any other fixtures and fittings required for assembly. A basic set of tools will be required and we expect that with two people assembling the playhouse you could have it put together within a day. 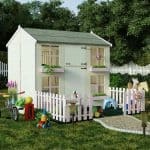 The Mad Dash Bunny Tower Wooden Playhouse: What is the overall quality like? 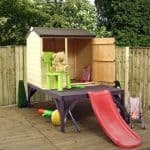 Mad Dash design and manufacture a range of children’s playhouses that are both hard wearing and weather resistant to enable them to have a long life in your garden. The high quality timber is resistant to the elements as well as issues such as rot, damp and mould. A wood preservative treatment is recommended to be applied upon assembly of the playhouse to ensure longevity of the timber. The playhouse is low maintenance, however in order to maintain its smart appearance you may wish to clean it every now and then with a quick hose down with water and a soapy solution for the windows. 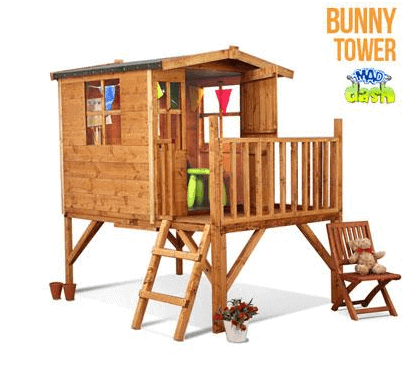 The Mad Dash Bunny Tower playhouse is a fantastic treehouse design that will make a real feature within your garden and endless hours of fun and memorable moments for the whole family. 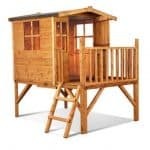 With a 6x5ft interior we feel that this playhouse is best suited to younger members of the family. 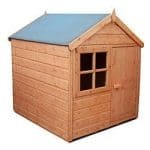 At this incredible price you are getting a hard wearing, feature filled playhouse that will suit a range of gardens. When I saw this thing and seen the price, I knew it was a steal. I had to grab it as soon as possible. The material was amazing and the construction and set up was so nice. My children are always asking me if they can go outside yet and play. Every time they finish their breakfast they go out and play. The same thing happens around lunch time. They seem to always want to be outside. That is fine with me because kids should be outside learning. They have so much fun. It is like a tree house, but this is even better. I can keep a good eye on them.